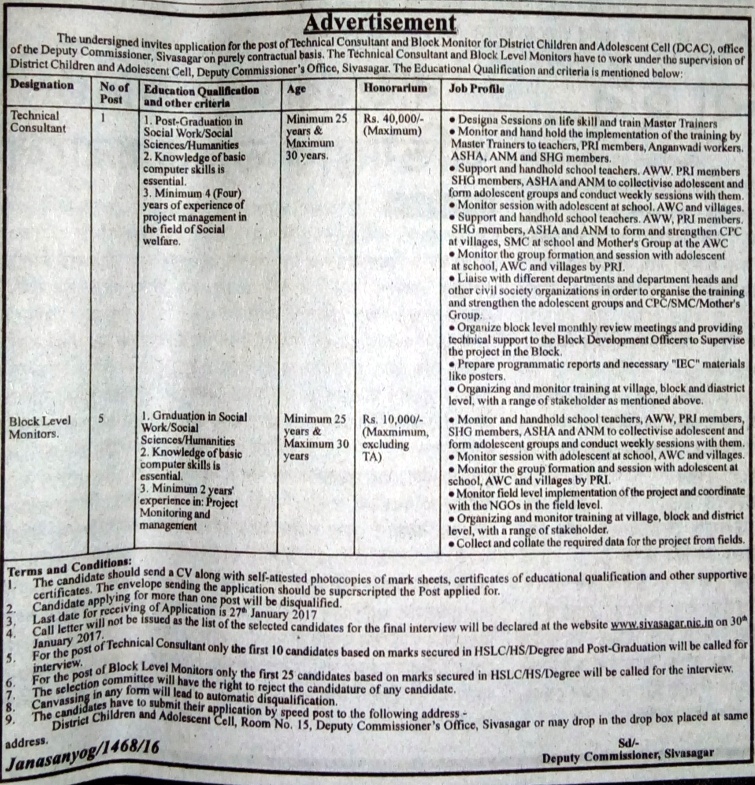 Applications are invited from eligible intending candidates for filling up the following vacant posts in District Children and Adolescent Cell [DCAC], office of the Deputy Commissioner, Sivasagar on purely contract basis. Educational Qualification: Post Graduate Degree in Social Work/Social Science/ Humanities with four years of experience in project management in the field of Social Welfare. Educational Qualification: Graduate Degree in Social Work/Social Science/ Humanities with two years of experience in project management in the field of Social Welfare. District Children and Adolescent Cell [DCAC], Room No: 15, Deputy Commissioner's Office, Sivasagar or may drop in the Drop Box placed in the same address.